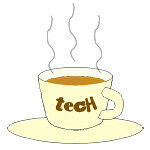 Harry Potter « Tech bytes for tea? Popsockets launches officially in Singapore as its maker sets up regional HQ in Singapore while it expands in Asia-Pacific. PopSockets: the mobile phone grip-and-stand which started off as an indie Kickstarter project in 2012 sold over 35 million units last year is now available here and in the region. The multi-functional PopSocket Grip can be used to stabilise selfie shots, act as a kickstand for watching YouTube and can even be mounted on walls and cars for easy viewing. For avid Harry Potter fans, especially those “from” the house of Slytherin, this is the PopSocket for you! Double PopSocket Grips are good for competitive mobile gamers who want a solid grip on the base of their phone to put their twin thumbs into action.